Booking hotel rooms on your mobile device. Paying your bills online from your tablet. Utilizing all your travel time to finish that tricky presentation on your laptop. Virtually everything is available on the go now! All online businesses are going in for websites that are viewable and operational on a wide range of devices such as smart phones, iPads, iPhones, laptops, desktops and tablets. Responsive web design is thus becoming the norm now since it ensures that the website or web page is optimized for all kinds of devices, operating systems and browsers. In other words, a responsive web design allows a website to adapt to different screens by shuffling content and realigning itself. Disney and Mashable are some of the renowned brands to use responsive web design for their sites. The foremost benefit of a responsive design is its flexibility to adapt to different screens. Your website is easily accessible on all types of devices. According to the size of the screen, the website shuffles content, images resize, and font size adjusts to deliver a quality experience to your users. Hence no matter what device a user has, he can conveniently read and navigate the site. If you create multiple versions of your website – for desktop, mobiles, tablets, etc., you will end up updating all the different versions every time there is a change, be it adding a new web page, editing content or even correcting a typo. Now that is double the efforts and time. On the other hand, a responsive web design is easy to maintain simply because it is a single website that opens seamlessly on different devices. When you need to update the site, website administrators have to update only on one platform. 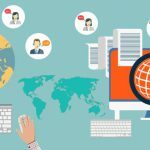 And you have only one set of content to manage that saves precious time and money. Responsive web design is now becoming a must for making your site search engine optimized. 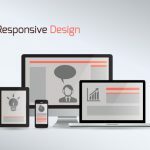 Instead of optimizing content or building links for multiple sites, responsive design creates a single model that is easy to update and optimized for all devices. Besides, the URL structure also remains the same for all devices be it an iPad, desktop computer or a mobile that makes it easy for Google to index your site. If a user encounters a problem while opening your site in his preferred device, you are sure to lose a potential customer. However, when a user can access your site from any device, he is unlikely to switch to a rival brand. An enhanced user experience means increased sales and better conversion rates. Considering all these benefits, it is no wonder that more and more companies are turning to responsive web design. It is easy to maintain and update, ensures a user friendly experience across all devices and browsers, and ultimately guarantees better return on investments. Given the fact that responsive web designs require innovative, all-devices compatible design, new, advanced technology, high-end coding including Html5 and CSS3 and meticulous testing, only experienced, reliable web design companies can deliver them bug-free. So choose your web design company carefully.